If you have taken some notes on iPhone and want to view them on PC or your Mac computer for your convenience, you may want to download iPhone notes to PC or want to solve how to sync iPhone notes to Mac with easy methods. In order to make it, you can read this guidance to help you to deal with how to view iPhone notes on PC or on Mac perfectly. If you want to download iPhone notes to PC, you can use Email to help you. This method is not hard to handle and is very helpful to transfer other files from iPhone to PC as well. The detailed introductions are shown below. 1. Run Notes app on your iPhone and choose a note you want to view on your iPhone. 2. Click the share icon with an upward arrow in it and choose “Mail” as your means. 3. Fill in your email address in the “To:” tab and press the “Send” button in the interface. 4. On your PC, navigate to the email box to receive the new email and open it. In the end, you can solve how to view iPhone notes on PC successfully. As you can see, it is not a tough task to download iPhone notes to PC. You can now have a try to realize your goal with Email. Although this tool is quite traditional, it is helpful indeed. When you want to deal with how to view iPhone notes on PC, iTunes is a good program for you to make use of. 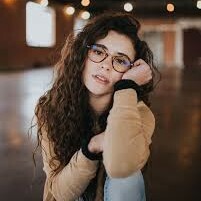 This tool is free to use, which is developed by Apple Company. As for how to make it via iTunes, you can see the detailed steps listed below. 1. Insert your iPhone with PC via proper UDB cable and then launch the latest version of iTunes on PC. 2. Move to “Preferences > Devices” to check the option of “Prevent iPods, iPhones and iPhones from syncing automatically”. 3. Click on the “Info” option under the menu of “Settings > Summary” and then tick “Sync notes with”. Choose “Outlook” in the drop-down menu. 4. Tap the button of “Sync” to begin to sync iPhone notes with Outlook. Wait until this process is over. 5. 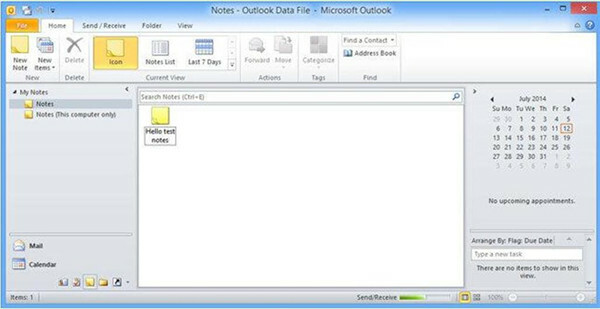 After that, you need to open Outlook on your computer and click on the notes icon in the lower left corner to view the iPhone notes. 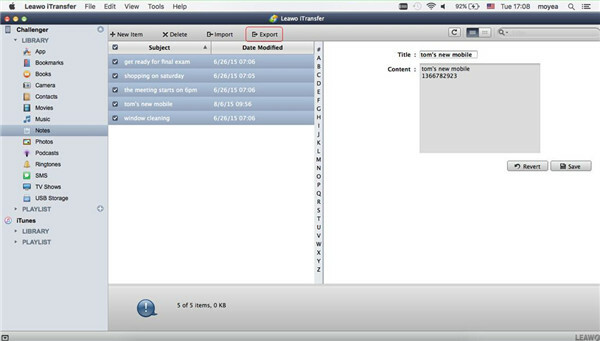 You are also able to copy and paste the iPhone notes in Outlook to any folder on your computer. 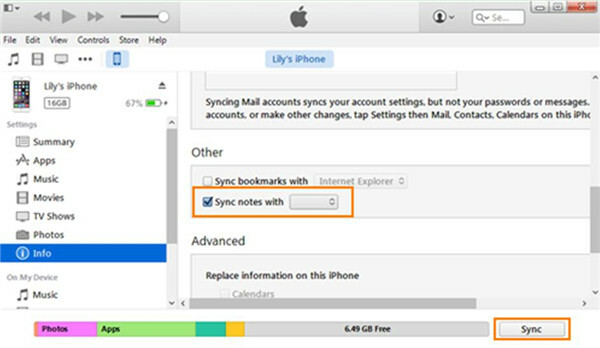 With the help of this solution, your iPhone notes will be synced to the Outlook automatically each time. However, if you do not have an outlook account or this application on your computer, you can give up this complicated trick and continue to read this guidance to look at how to backup iPhone notes to PC without iTunes. 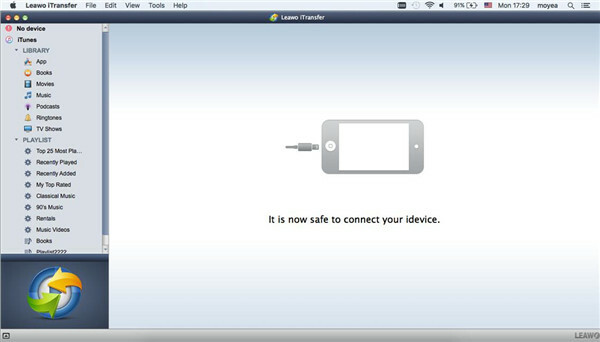 Leawo iTransfer can deal with how to backup iPhone notes to PC without iTunes quite easily. 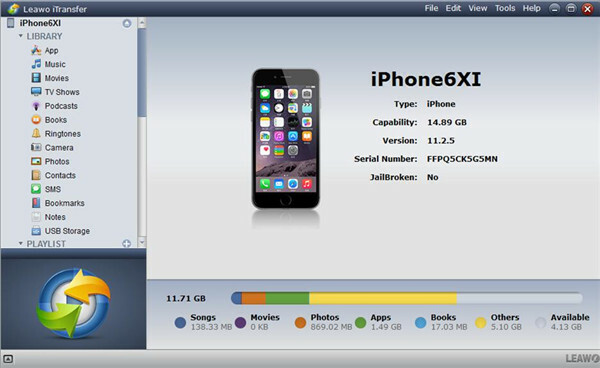 This tool is professional and powerful in transferring files among iOS devices, computer and iTunes. 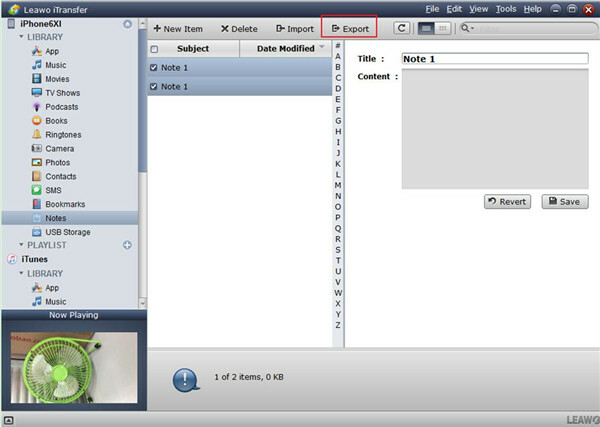 Now let’s learn from the steps shown below to download iPhone notes to PC. First of all, if you have made any change of notes on iCloud, you could first sync iCloud notes to your iPhone. If you encounter iCloud notes not syncing on iPhone, you can find the solution here. Run this software and connect iPhone with PC via suitable USB cable. This program can recognize your iPhone automatically and your iPhone info will be shown in the right window clearly. Click on your iPhone icon and then move to “LIBRARY > Notes”. All notes on your iPhone will appear in the right interface. You can edit your iPhone notes on the program if you need. Now you need to tick the notes you want to move to computer and tap the “Export” button at top middle. A panel will show up to ask you to select an output folder. First you need to check “Save to folder” and then click on the “Change” button to set the destination you want to save the exported iPhone notes. Afterwards, click on “Transfer Now” to download iPhone notes to PC. After this is over, your iPhone notes will be available on your PC. Generally, these notes will be saved as .note files. This solution to solve how to backup iPhone notes to PC without iTunes is quite easily. You can now download this software and install it on your PC to have a try. You will know how great it is. 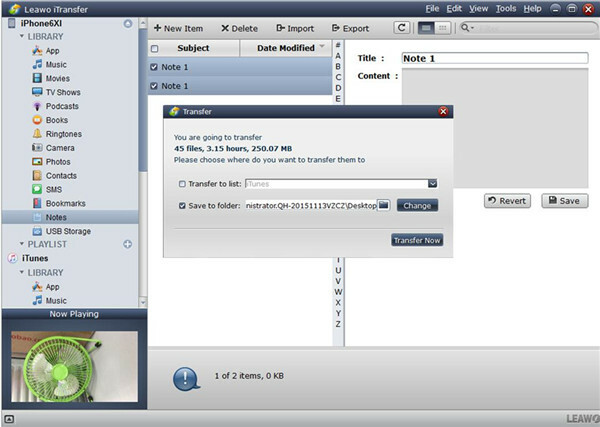 Leawo iTransfer for Mac is a popular tool that can be used for transferring various files among iTunes, Apple devices and computers. Now let’s check out how to sync iPhone notes to Mac without iTunes but iTransfer for Mac. In order to solve how to sync iPhone notes to Mac, first you need to run the program and connect iPhone with Mac with USB cable. Your iPhone information will show in the interface automatically after the software detect your device. Click on “iPhone icon > LIBRARY > Notes” and then select the notes you want to copy to your Mac in the right interface of the software. After you have chosen the notes you need to transfer to Mac, tap the “Export” button and then choose an output directory to store your iPhone notes on Mac. Afterwards, tap the “Transfer Now” button to begin to transfer notes from iPhone to Mac immediately. In a few seconds, the transfer process will complete. Thus you can solve how to backup iPhone notes to Mac perfectly. 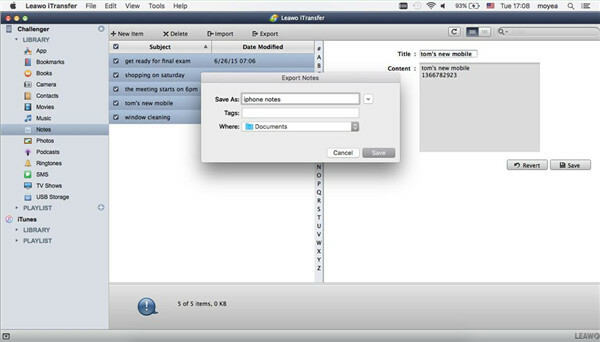 Leawo iTransfer for Mac can be used to deal with how to sync iPhone notes to Mac, and it can also be used to manage other 12 kinds of files and data from your Mac, such as photos, videos, music, contact, books, etc. You can now have a try with this powerful software to help you to handle how to backup iPhone notes to Mac. 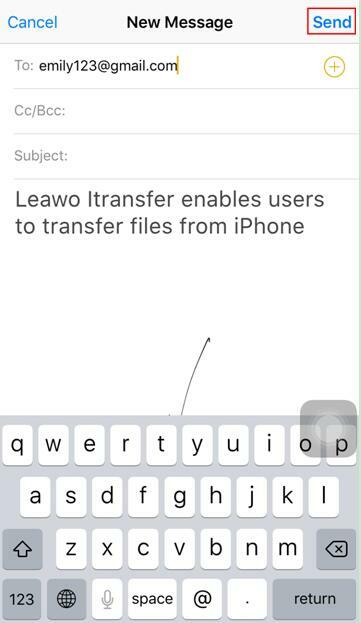 By the way, if the notes you wanna view has been deleted accidently, you could use Leawo iOS Data Recovery to retrieve delted notes from iPhone.